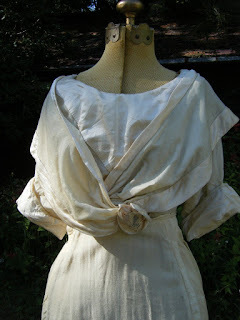 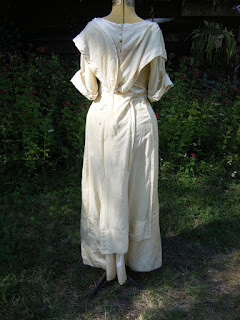 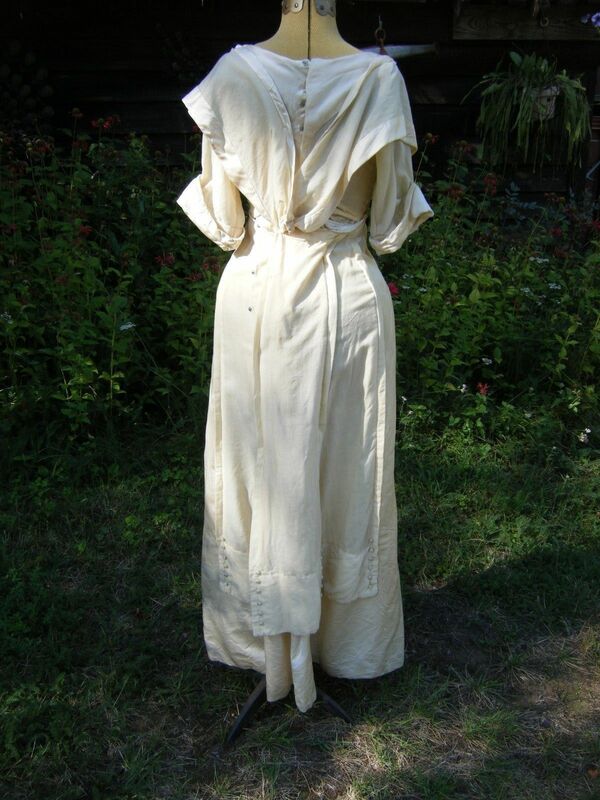 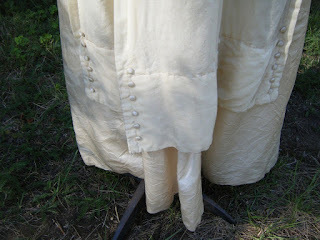 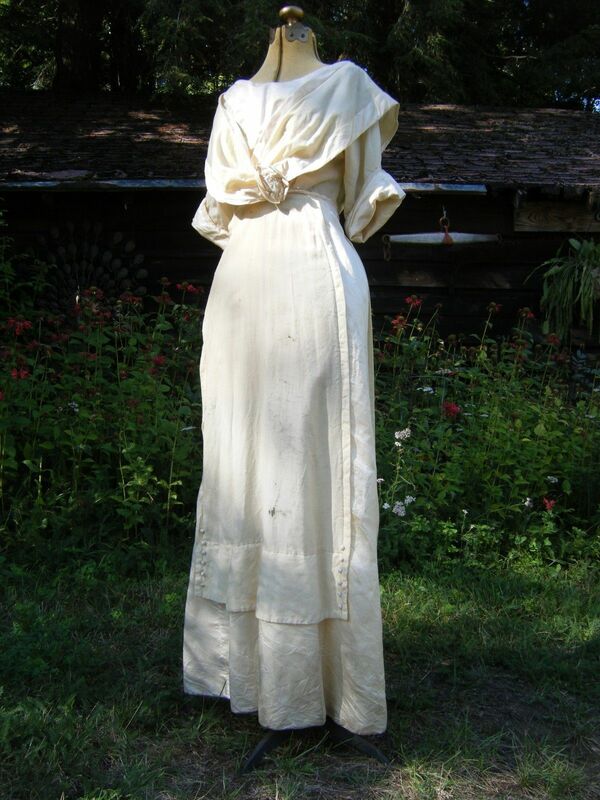 Lovely 1900's Edwardian gown in satin and fine thin wool. 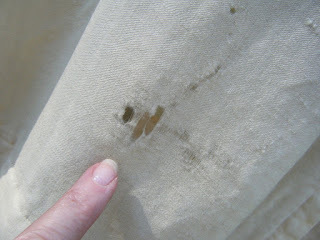 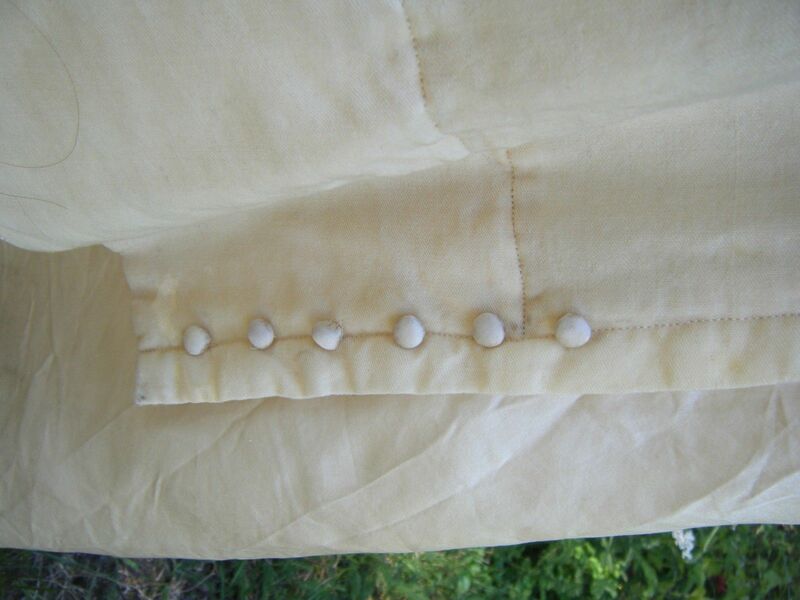 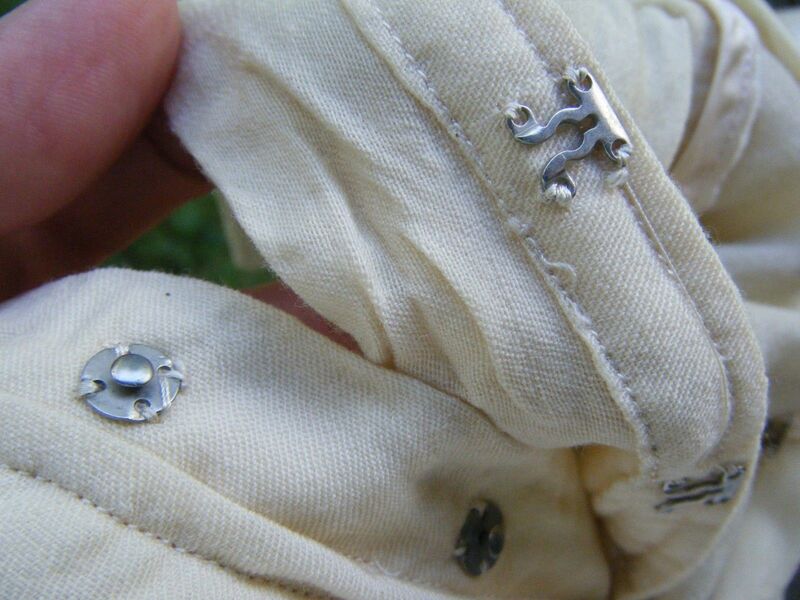 Front panel on skirt has moth damage,and you need a sliding snap on back of neck,but dress is very strong and wearable, great restoration,study or pattern. 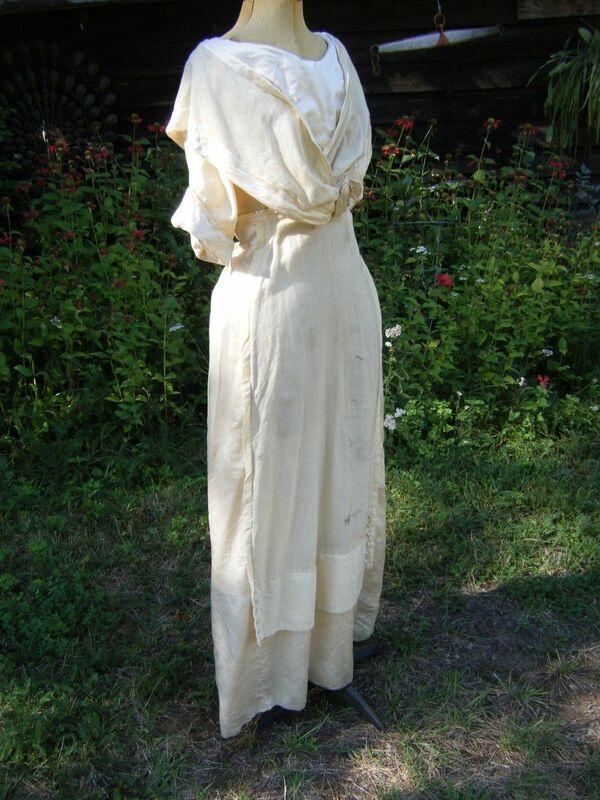 Bust 34" Waist 20" Hip 40" length 57"
The bodice still hasn't fallen to the natural waistline and the skirt is also pretty thin. 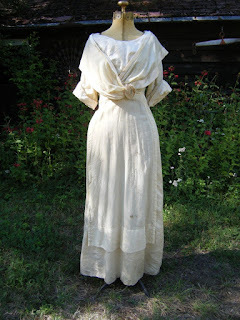 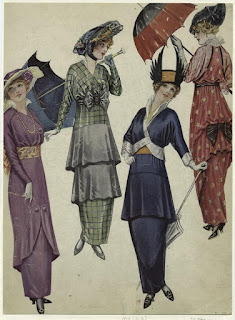 By 1915, the skirt fills out a lot and the bodice drops a bit more. 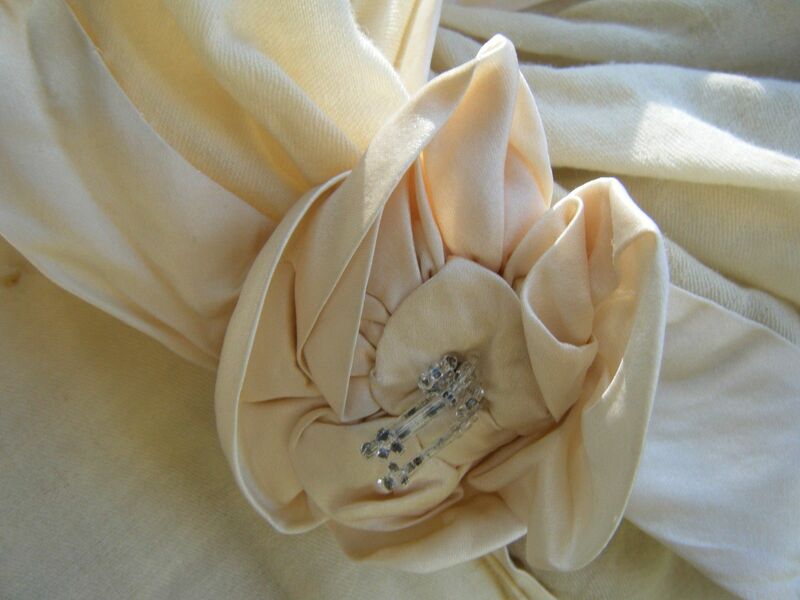 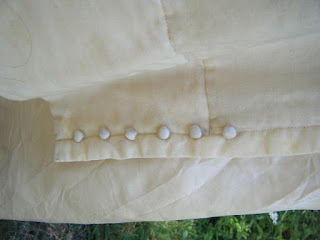 In a couple of years, the bodice will start to drop below the natural waistline.